A GREAT NIGHT OUT - NOT TO BE MISSED! 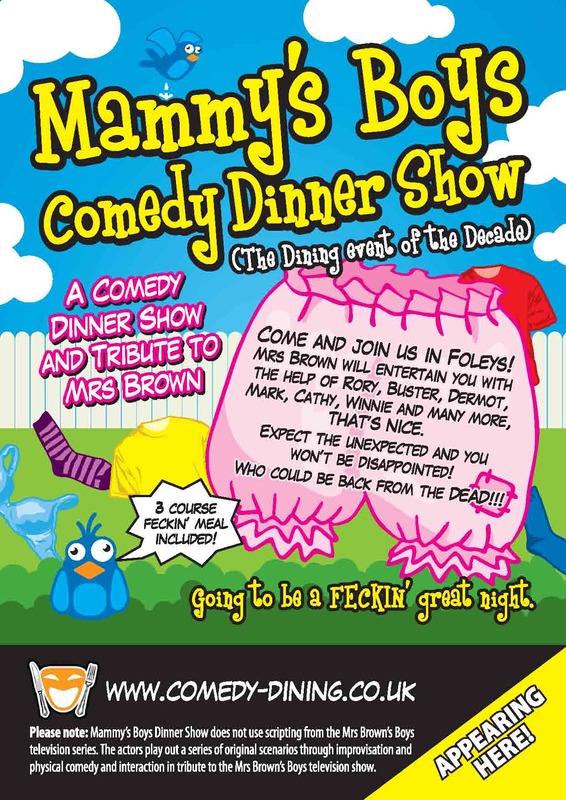 Get ready for an uproarious night on the lash with the mother of all comedy–Mrs Agnes Brown. Agnes and Winnie are spending a quiet night in Foley’s bar, waiting for Agnes’ children to return from a trip to Spain. When Dermot, Rory, Mark and Cathy arrive, they come with surprising news about their late father.